Before blindly choosing replacement windows for your home, check out some tips on how to make your decision! When it’s time for replacement windows, the many choices can seem overwhelming. Do you want double hung windows? Or perhaps bay windows or picture windows suit your home and lifestyle best. Before you make any big decisions, it’s important to keep a few factors in mind. If you keep these tips in mind, you will be certain to pick replacement windows that are a perfect answer and suit your needs, the look of your home, and your personal tastes. Know what style of decorating you personally prefer when considering replacement windows. Is your home full of sleek and stark lines and minimalist decor? Do you live in an older victorian home and choose to decorate it in a way that highlights its unique charm? Make sure that you choose windows that compliment and highlight the overall look of your home and its decor. The same rules apply to different kind of styles. Whether rustic, bold, muted and serene, or hypermodern, consistency is key. Be sure to talk to your manufacturer about different options you have. Are you looking for operable replacement windows that let the spring and summer breeze blow through your home? Are you looking for fixed windows which allow natural light to pour into your home, but do not actually open? 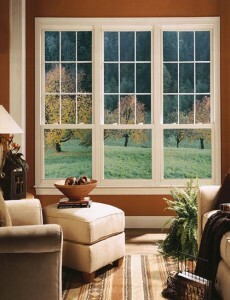 Depending on which windows are best for your needs and your home, you have a number of options to choose from. Always choose windows that suit your needs. While windows are a purely functional aspect of any comfortable and beautiful home, they are also an excellent way to create visual interest. Windows can be the true focal point of a room, making it a space that pops. If you have large charming windows or unique architecture, you can help enhance these features with different window colors, styles, shapes, and details. If you are ready to install new siding, windows, or tile roofing or if you just want more information, contact Absolute Home Solutions at 240-328-9872 for a free consultation. You can also connect with Absolute Home Solutions on Facebook, Google+, Pinterest and Twitter. We proudly serve Middletown, Urbana, new market, Walkersville, Frederick, Buckeystown, Boyds, Ijamsville, Mount Airy, Glenwood, Chevy Chase, Bethesda, Potomac, Silver Spring, Gaithersburg, Rockville, Ellicott City, Howard County, Montgomery County, Northern Virginia Sterling, Ashburn, Herndon, Great Falls, Potomac Falls, McLean, Falls Church, Alexandria, and Washington D.C. This entry was posted on Friday, July 15th, 2016	at 2:27 pm	and is filed under Windows . You can follow any responses to this entry through the RSS 2.0 feed. You can leave a response, or trackback from your own site.